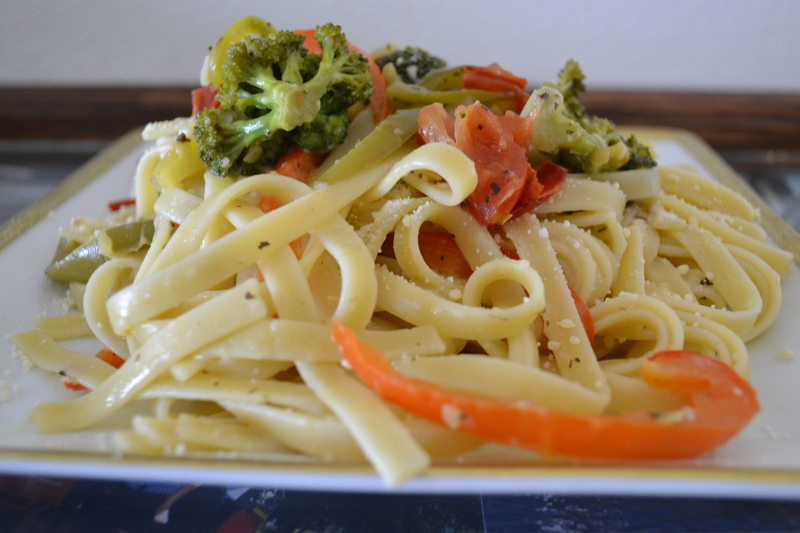 This is our family version of Pasta Primavera. 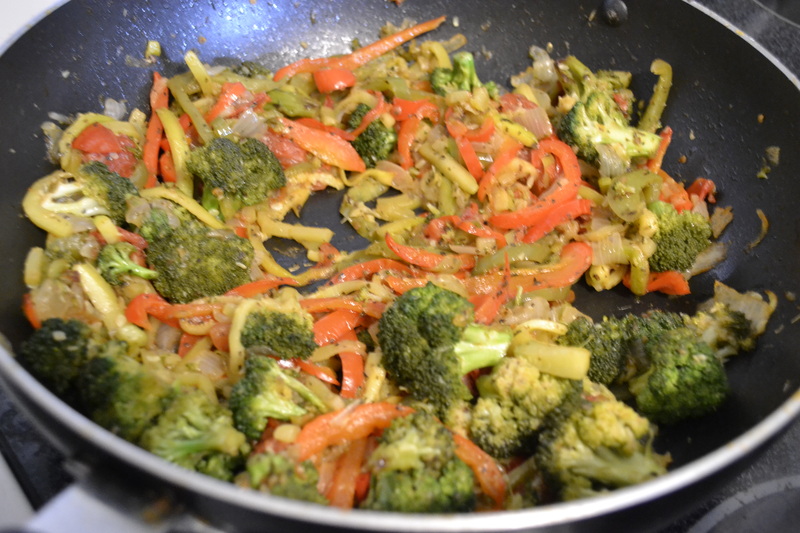 Saute onion and pepper in olive oil. After a few minutes add tomatoes, zucchini and broccoli. Add salt and basil. Saute until desired tenderness. Boil noodles in water. Drain when done. 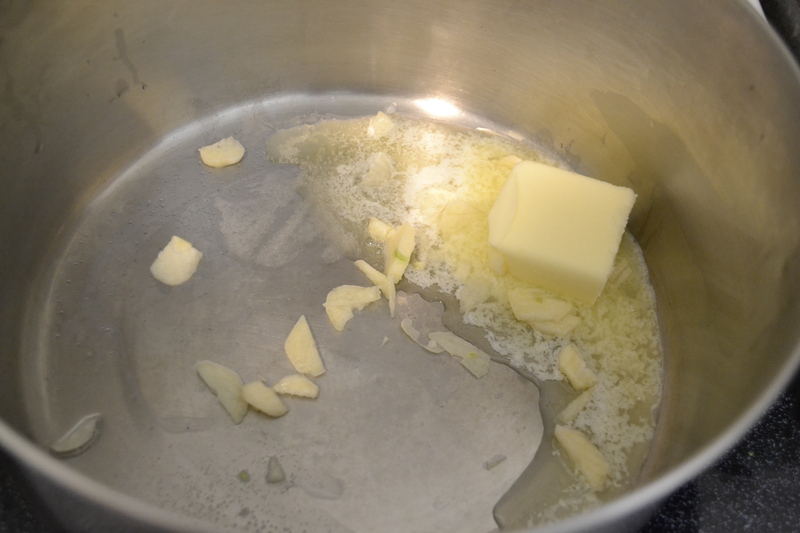 Melt butter and add garlic, saute until light brown. Add milk and cheese and whisk. Let boil slightly then turn down and simmer. 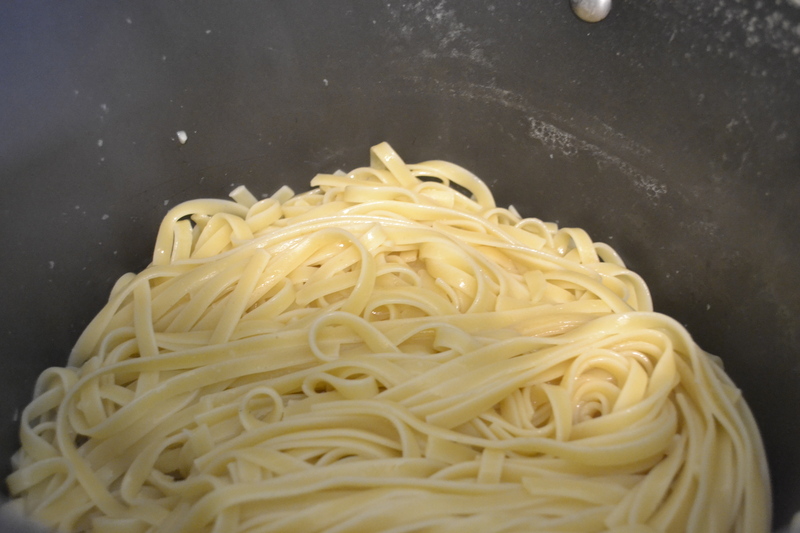 When noodles are done, drain and transfer to a large pan, add sauce and toss, add vegetables and toss. 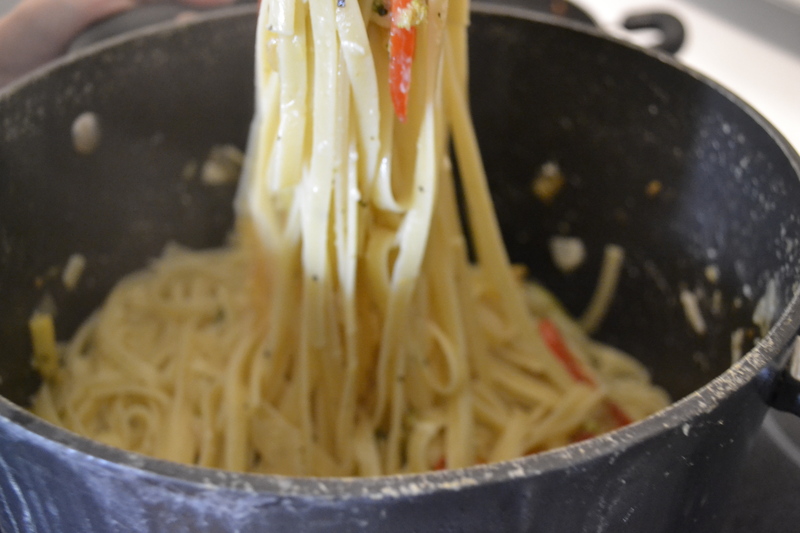 Sprinkle with Parmesan and season according to taste!